I’m thrilled to be taking part in a musical reunion, reviving this Bay Area tradition with a small chorale of very talented friends! 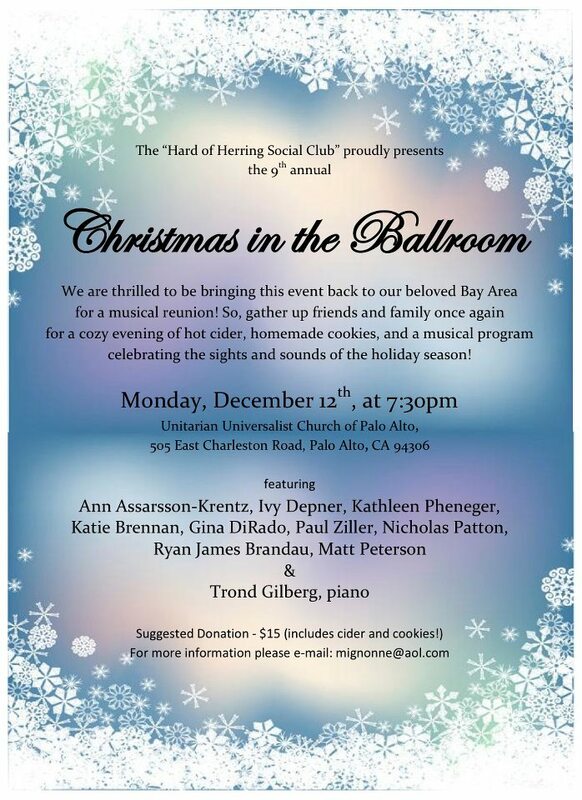 This will be my 4th year taking part in “Christmas in the Ballroom” (and the 9th for its founders!). So, gather up your friends and family for a festive evening of traditional Christmas hymns and carols, as well as contemporary and popular favorites, including a sing-along portion (you know you want to!). The generous spread of hot cider and homemade cookies make it a cozy and family friendly tradition.